Two seat sofa. Frame in solid wood and plywood. 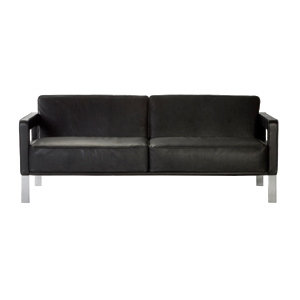 Polyurethane foam upholstered with fabric or leather. Seat and back cushion with removable cover. Base in polished cast aluminum.